Detour Campervans was looking for new, fresh and fun identity and a complete marketing package to go with it. 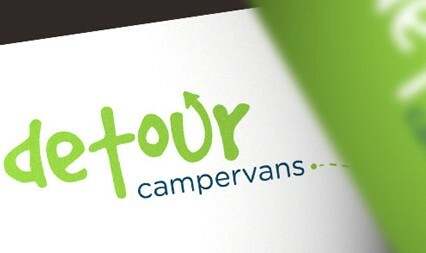 Detour Campervans is a fun new Irish owned and operated campervan rental company. Their aim is to provide affordable campervan hire for everyone using a range of campervans to suit lone travellers, couples, families and groups of friends. Detour Campervans offer fully heated and insulated campervans with all the necessary amenities for life on the road. It gives you the freedom to go anywhere at a time that suits you, whether it be to a fun festival, surfing session, family holiday, sporting fixture and casual hiking tour.